The Jordan Valley, in the northeast of the West Bank, is another area emblematic of the injustices Israeli occupation and settler colonialism are inflicting on Palestinians. It also showcases the dramatic extent of Israel’s water enclosures. 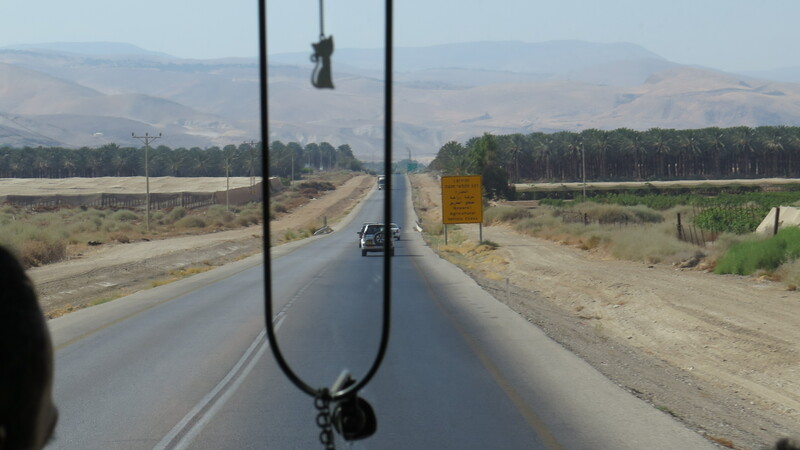 This is the third part of a series by ENTITLE fellows on our experiences during the International Conference of Critical Geography in Palestine. Previous contributions can be found here and here. 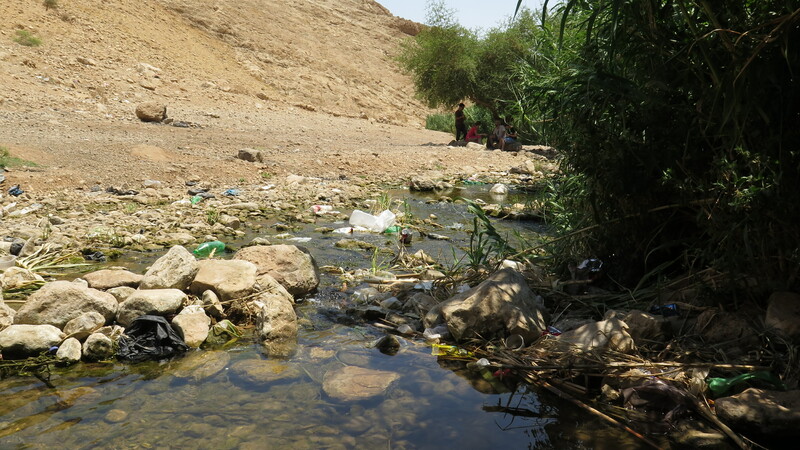 As it enters the occupied Palestinian territories in the northeastern West Bank, the Jordan River has already lost more than half of its original flow. Much of it is diverted north of the Jordan Valley, by dams and infrastructure projects in Israel, Jordan and Syria. 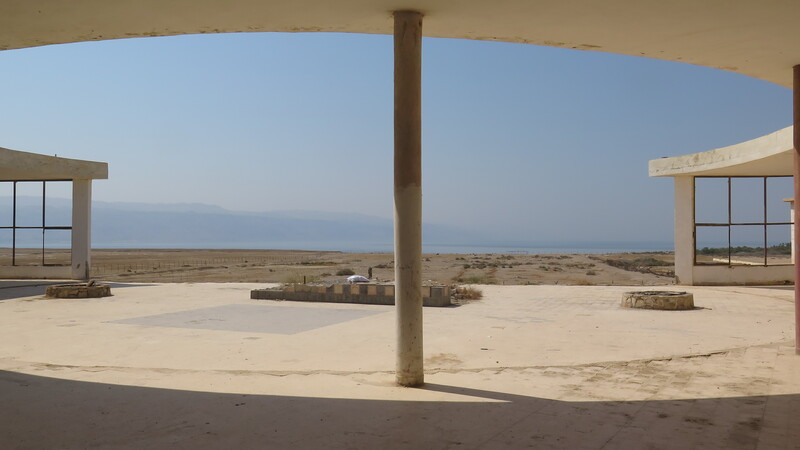 In the 1950s Israel’s ambitions to make the desert bloom led to the construction of the National Water Carrier, which from 1964 onward transported 500-600 million cubic metres of water from the Sea of Galilee to the Negev. Within the Jordan Valley excessive extraction of spring- and groundwater for exclusive use in Israeli settlements and plantations adds to falling groundwater levels and drying springs. Mineral extraction through Israeli and Jordanian industries south of the Dead Sea leads to evaporation and further contributes up to 50% to the demise of the Dead Sea. Evaporation from the Dead Sea amounts to 800 million cubic metres a year, and it is higher than the water inflow. Land degradation through the creation of more than 4,000 sinkholes (caves created through the dissolution of underground salt layers, which subsequently collapse, opening cavities of up to 40 feet depth) is just one consequence of the demise of the Dead Sea. The desert-like landscape of what is also called the “Jordan Rift Valley”, much of which lies below sea level, may at first sight not be a particularly desirable place to live or occupy. The heat at the height of the summer is excessive. And yet it is a highly strategic area. As the only non-Israeli foreign border (with Jordan) and potential exit/export route for Palestinian people and goods, it is a crucial border for Israel to control to advance its expansionist occupation project. It is also one of the most agriculturally productive areas in the West Bank, making up 28.5% of production. With warmer temperatures, a year-round agricultural climate, abundant water supply and fertile land, the Jordan Valley used to be the “vegetable basket” for much of Palestine. But Israel’s grab of nearly 100% of the valley’s water resources and much of the arable land have severely limited the agricultural capacity of Palestinian farmers in the Jordan Valley, further compromising food security in Palestine. 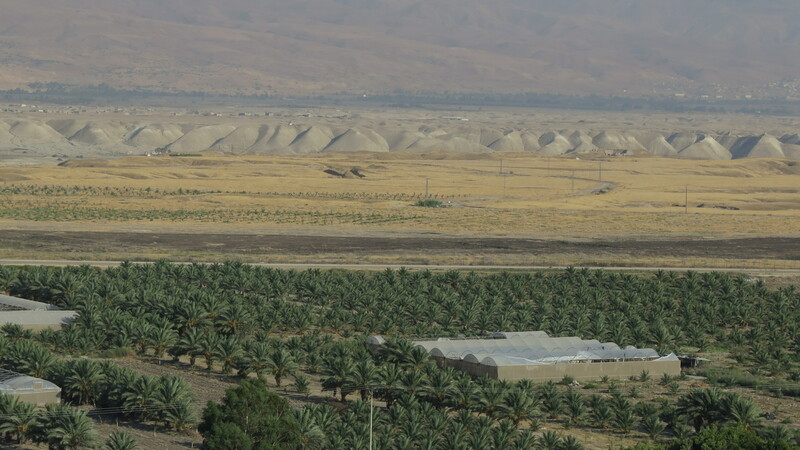 Israeli date plantations in the Jordan Valley. Picture by A. Huber. The 31 settlements and 7 illegal outposts in the Jordan Valley, which house less than 9,000 Israeli settlers, consume 40 million cubic metres of water every year, mainly for agriculture. By comparison, Palestinians in the whole West Bank have only access to 55 million cubic metres for agriculture. Since 1967 Israel has not issued a single permit to Palestinians in the Jordan Valley for drilling deep wells for agricultural purposes. The Jordan River, which marks the border with Jordan, is off-limits to Palestinians. Water availability from other surface water resources, such as springs – the only water source available to Palestinians – has decreased too, as a result of Israeli over exploitation of water resources. Climate change and lack of rainfall further add to increasing water scarcity. And yet Israel’s water policy cannot be justified with arguments of water scarcity. According to Nader, Israel has doubled its water resources recent investments in desalination facilities, actually producing a water surplus, and the ability to sell water to Palestinians through the national water company Mekorot. The reasons why Israel does not want to grant Palestine control over its own water resources – or much of the land – are clearly political, with disastrous consequences for Palestine’s economy. What is left of the spring of Ras ‘Ein al ‘Auja, near its source. As there are repairs going on in the nearby Israeli water pump, this is more flow than usual. Photo by A. Huber. Israeli water pump next to the spring of Ras ‘Ein al ‘Auja. Photo by A. Huber. Control over water resources allows Israel to expand its own agricultural holdings, thereby fuelling the settlement economy, and consolidating its occupation of the West Bank and its most strategic areas. Water for Israeli agricultural industries in the Jordan Valley comes at almost no cost as the Israeli government subsidises over 50% of its price. Moreover, following the signing of the Oslo Accords in 1993, Israel gained control of 94% of the land in the Jordan Valley, which was declared as Area C (land under full Israeli control over security, planning and construction). 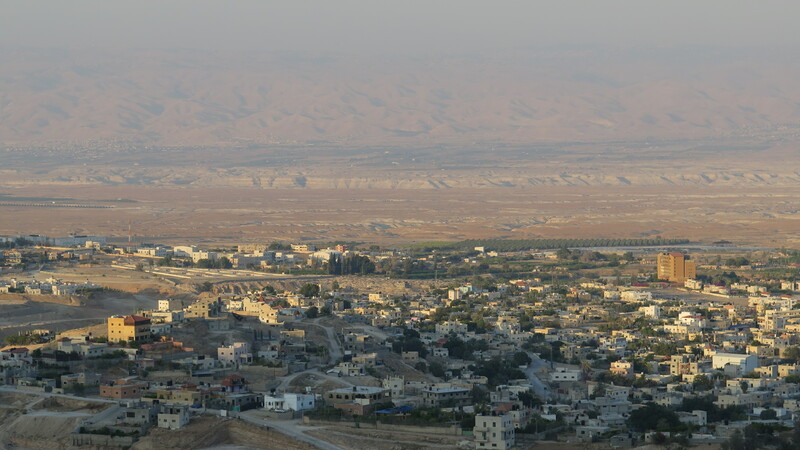 Initially confiscated for military purposes, 50% of the land in the Jordan Valley has subsequently been transferred to settler families and industries (a population of less than 6,000). The remaining 44% of the land is declared to be either military zones or natural reserves. The roughly 60,000 Palestinians who live in the Jordan Valley control only 6% of the total land area, classified as Area B. As a consequence, Palestinian farmers cannot compete. Due to the lack of access to water and land, and price dumping by Israel, Palestinian agriculture in the Jordan Valley (and much of the West Bank) is almost not viable. Israeli products are crowding out Palestinian ones on the Palestinian market. At the same time, Palestinians become a cheap labour force for the settlements, while their land slowly degrades. This in turn is used by Israel as a justification to confiscate Palestinian land and expand the settlements, on the grounds that it is not used by Palestinians, and that Israel can put the land to better use, by creating jobs and improving the local economy. 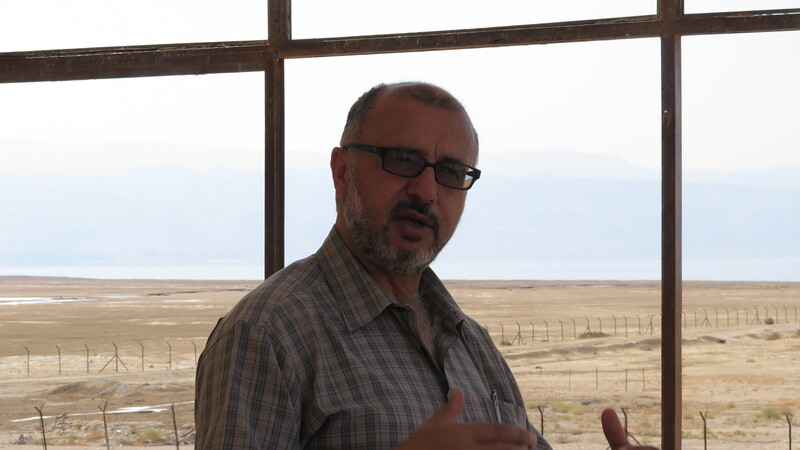 Nader Khateeb explains that recent studies have estimated Palestinian control over the land and resources of the Jordan Valley could create more than 100,000 jobs and increase the GDP of Palestine by more than 12-15%, 5 billion dollars per year. Among the communities that suffer most under the Israeli occupation of the Jordan Valley are the Bedouin communities, a population of 15,000, many of whom have migrated to the Jordan valley after the war in 1967. 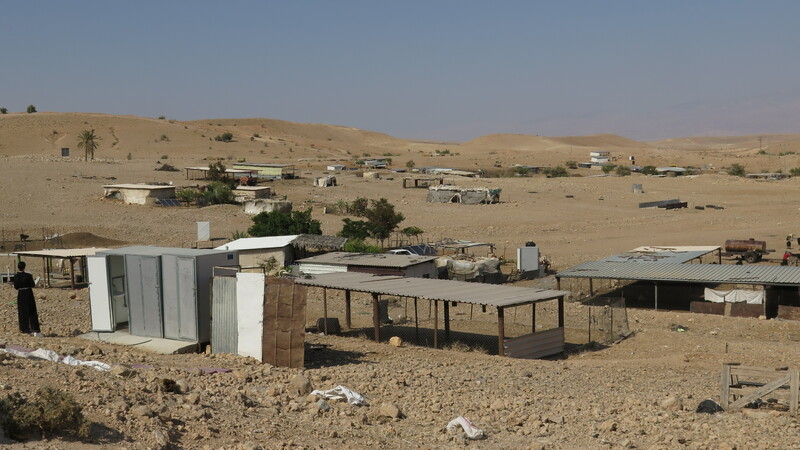 A recent plan by the Civil Administration, the Israeli military authority that implements the occupation in the West Bank, foresees the expulsion of Bedouin families from their communities, and their relocation in so-called ‘development towns’ near Jericho and Jerusalem. This plan is threatening the existence of 46 nomadic Bedouin communities and their traditional lifestyle, which is based on extensive land use through pastoral migration. Already today, the persistent seizure of land and water resources by the Israeli authorities for exclusive use by settlements is imposing harsh restrictions and criminalizing the movements of Bedouins and their cattle in search of scarce fodder and water for animals. A Bedouin camp near Ras ‘Ein al ‘Auja. Photo by A. Huber. Palestinians living in Area C are not allowed to build anything, including houses, schools, water and electricity connections, or communications facilities, among others, without permission from the Israeli administration – yet most of the requested permits are refused. As is the supply of even the most basic infrastructure services – water, electricity, medical services. The electricity wires installed above the Bedouin villages are for use by settlers only. 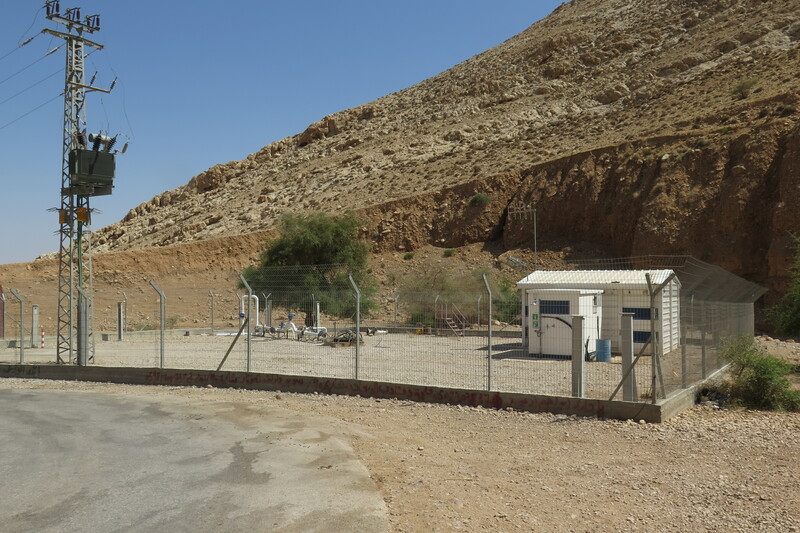 Due to such restrictions on building activity and infrastructure, the Bedouins already precarious camp-like living arrangements are made even more precarious. This entrenches the poverty and vulnerability of the already marginalised Bedouin population, and enhances the impermanence of their livelihoods. * More information on the occupation of the Jordan Valley, development projects and civil society initiatives of solidarity and resistance can be found among others from the following organizations: The Jordan Valley Solidarity Group, MA’AN Development Center, and Friends of the Earth Middle East.